Here it is, the big Disneyland Paris update you are all waiting for. Today, we are going to talk about DLP future, new attractions at the Magic Kingdom and the WDS, Hotels, Disney Village, etc... First, i have to say, that nothing about DLP future has been announced officially yet. It's still rumors, but let's say that it is "strong" rumors, and most of what i reveal today will probably be built in the next five years - let's say between 2009 and 2013. That said, let's go, and let's begin by the Walt Disney Studios. As we know, the WDS is the biggest concern for DLP management as the park still need an expansion, even if the Toon Studio, The Tower of Terror, Stitch Live! and the Hollywood Blvd decor were already strong improvements. The Hollywood Blvd will be expand in a soon future, which mean that the Tram Tour Station will move, as it is expected. Talking about the Tram Tour, a new major and big scene should be added, on the "PIrates of Caribbean" theme and if it's built, you can expect spectacular pyrotechnic effects. No details yet on what will be the decor, but why not a battle between two ships with cannons, and all the "booms" one can expect from that kind of scene? This will be great, and with some luck this new POTC scene could see the appearance of the Johnny Depp / Jack Sparrow and Geoffrey Rush / Barbossa Audio-Animatronics - as they didn't put them inside the POTC attraction. 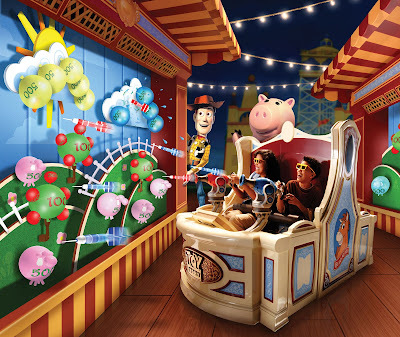 Toy Story Mania is also coming at the WDS, and this was predictable. After all, the WDS don't have an interactive attraction, and Buzz Lightyear is highly popular with young kids at the Magic Kingdom. The question is: where will they put it. One rumor say that Armaggedon will close soon and TSM will take its place, another one that it will be built where the imagineers expected to build Soarin', i.e between Cinemagique and Stitch Live. I only hope they won't put it in the Soarin' location, because this could mean "bye-bye Soarin'". In fact, the park haven't decided yet if they build Soarin' or not. It seems that the question of the re-riding is part of the problem. I mean, Soarin' is a wonderful attraction - i love it, personally - but will the guests want to ride and ride it again? It's sure that Soarin' is not an attraction as "immersive" as TOT or POTC, and more an "experience" , but thinking that guests will do it once and never comeback is for sure a big mistake. Most of the people who did Soarin' regrets that it was too short. So yes, they will re-ride it again for sure! 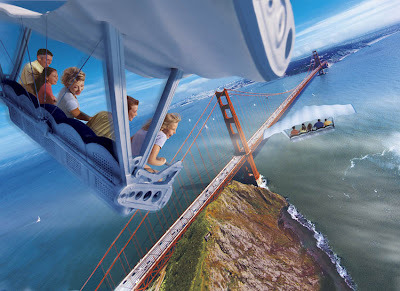 However a news revealed by Laughing Place.com last week could be a good news for Soarin' future as they have revealed "that Disney has applied for various government permits for the second Soarin' movie (tenatively a global theme) and that shooting could begin as early as this fall for a late '09 premiere at Disney's California Adventure and Epcot." At the Toon Studio, it's three little attractions that should be built in a very near future on the big piece of lawn that one can see between the TS and the TOT. In fact, it should be "funfair" attractions - like Aladdin's Magic Carpet - but re-themed on a Pixar movies theme. I know it don't sound like good news, but WDI imagineers can create nice decor all around them, and it's probably what they will do. Think for instance about the little coaster outside the Little Mermaid Lagoon at TDS , for sure it's not an E-Ticket, but it's not that bad because the decor all around is well themed. Another rumor say that there will be a "parachute" attraction using toy Story's little green army men theme....well, we'll see, and we shouldn't have too long to wait as this three minor attractions should be built next year or 2010 the latest. One kind of attraction is missing at the WDS: a dark ride. Good news, a Ratatouille dark ride should come soon - although not before 2010. The Ratatouille movie was of course very popular in France, and DLP is probably the best place to build a dark ride on that theme. 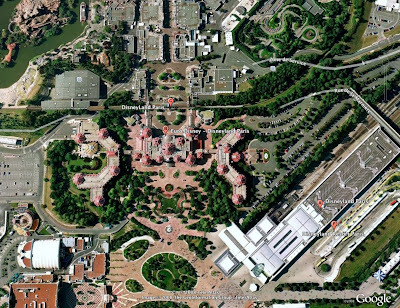 What is more surprising is that the imagineers are expected to use a GPS system to control the vehicles. That's right, the same GPS system used at TDL Winnie the Pooh attraction and TDS Aquatopia. If it is surprising it's not because it's not a good idea - it is a perfect idea for a Ratatouille dark ride, specially if imagineers want to give the feeling to move inside the decor like a rat could do - no, it's surprising because of the GPS control system cost. If they didn't built the TDL version in California, it was for a big part because of the cost...But may be the technology is cheaper now and DLP can afford it...let's hope it will be the case! We will move now at the Magic Kingdom where you can expect lot of great things, too. 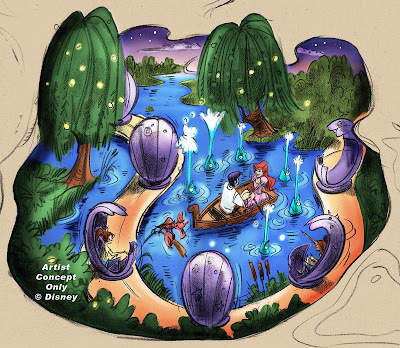 First, the long-awaited Little Mermaid attraction will be built - at last!- in Fantasyland. Surprisingly, the location should not be the one envisioned when the park opened - i.e in front of the Pizzeria Bella Notte. 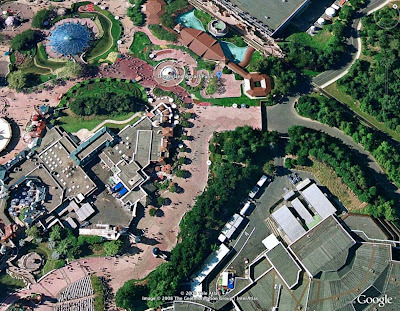 Instead, the Fantasy Festival Stage should be pull down, and the Little Mermaid built behind Fantasyland Station, where there is land avalaible. Also, the attraction will be perfect for little girls who can easily identify with the Little Mermaid. 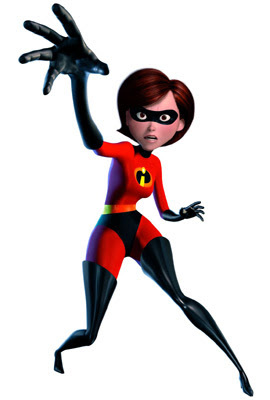 There is not a lot of attractions with an "heroine" in the park, but there is plenty of families with children, and we must not forget that in a family of four, there is often a young girl - if not two! Now, as you've probably notice, building this little Mermaid attraction means: no more Fantasyland theater - as Fantasy Festival Stage will be pull down. That's right, and this is why the park is planning to build a new one - more or less similar to the Story Book Theater in HKDL. And where, you ask? 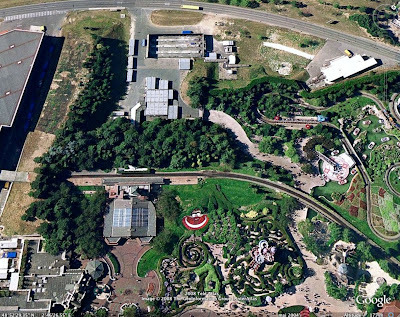 Where there is a lot of land available, i.e between Fantasyland and Discoveryland. 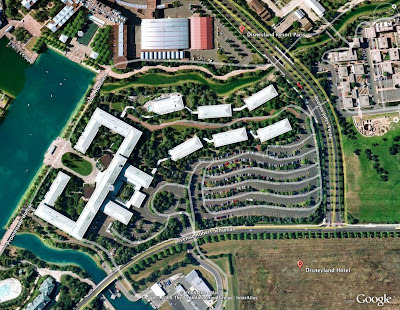 This land was previously kept to build Toon Town and currently it's where is the big tent used during special events - it's the white building on the Google Earth view below - but now that a Toon Studio exist at the WDS i am not so sure we will get a Toon Town in Fantasyland , at least in the near future... So, this new "Story Book Theater" should be built there, and just like in Hong Kong, the theater will be built on the other side of the train track. Star Tour fans are going to be be happy as Star Tours 2 will come to Discoveryland. We're all waiting for an official announcement at DLR and WDW, but all infos confirm that this "Star Tours 2.0" will arrive soon, and the Laughing Place.com news last week that "Star Tours 2.0 is currently in production. The movie should be announced in the fall for a summer '09 launch." confirms it. Laughing Place also say that "currently only Disneyland and Disney's Hollywood Studios have agreed to take the new movie", but, believe me, Star Tours 2 will be built at DLP, not only because Star Wars is a formidable franchise - but because the attendance for this popular attraction now decline and also - if not mainly - because of the cost as the park will have a new and spectacular E-Ticket attraction for a reasonable price. Don't get me wrong, i don't mean that Star Tours 2.0 will be cheap, but, because the building exist as well as the pre-show and many more elements, it will be much cheaper than to build a brand new attraction, in a new building, etc... 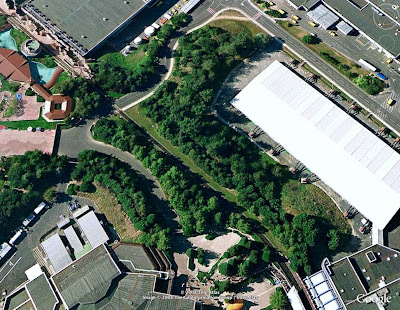 Believe me, there is not one good reason for the park to avoid ST 2 and DLP should have it soon, between 2010 and 2012. All this lead us to the next big E-Ticket mystery: will the next E-Ticket be built in Adventureland or Frontierland? First, if we are fair, we must remember that the Little Mermaid attraction is already a big E-Ticket, and not a cheap one. But it seems that the big decision for the park, now, is to choose between a Splash Montain in the back of Frontierland - which will mean a move of Frontierland Station on the right , or Indiana Jones Adventure in Adventureland, on the location that imagineers kept for it - as we saw in one of my previous article. 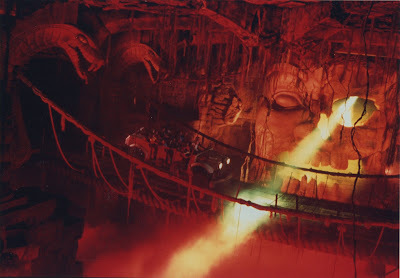 Since years and years i keep saying that Indiana Jones Adventure would be the best choice for the park, and i sincerely hope that this time, they will do the right choice! I'm sure you will agree with me, specially when you'll know that the Splash Mountain envisioned for DLP should NOT use the "Song of the south" theme. Not that WDI Imagineers can't find another good theme, i'm sure they can, but my feeling is that we may have a "low-cost Splash Mountain" , something which is impossible to do with Indiana Jones Adventure...who will be the perfect attraction for the park 20th anniversary in 2012. Like building new hotels, or, more certainly new wings to hotels. It seems that the new wings which are currently built at the Grand Californian or Animal Kingdom Lodge gave ideas to DLP management, as new "wings" will be added to the Disneyland Hotel and the Sequoia Lodge. At the Disneyland hotel, they expect to built a new wing on the left, and, probably too, on the right. 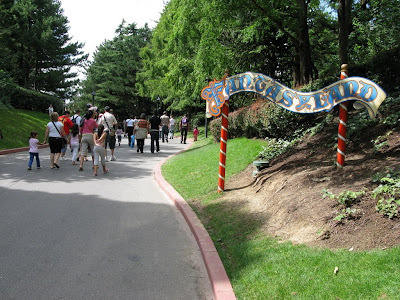 After all, it's the hotel at the entrance of the park, the one where everybody wants to stay, and new rooms will be welcome. The outside swimming pool will close - a new restaurant should be built there - and instead a new and bigger pool will be built. They also have the room to build a new wing on the right of the hotel, probably where the parking for disabled persons is now, as you will see on this Google Earth view below. For the Sequoia Lodge, the land available is not obvious, but may be they will find a way to add some "lodges" like the one you can see on the right of the main building on the picture below. For the park, building new wings is perfect, financially speaking. It has a cost, of course, but it's much cheaper than to build a new hotel, as all the infrastructure already exist. For these reasons, we can count, i think, on these new "wings" in a near future. 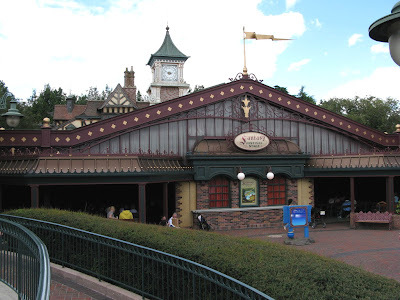 The Disney Village will see changes, too, and it's good news as it need changes! New restaurants - like Starbuck's Coffee and Earl of Sandwich - will open soon, and there is always this big World of Disney superstore previously announced, but not open yet. 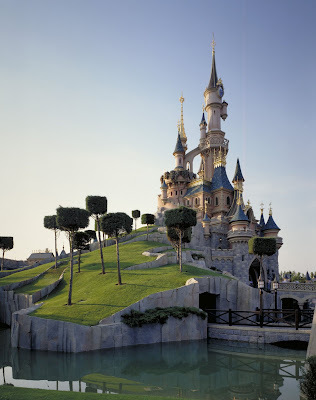 Anyway, as we've seen, DLP's future looks bright, and that's the best news for all DLP lovers. For the park's management it's a big 2009-2013 plan that should be announced officially with some luck this fall, if not, early next year at the stock holder meeting in February. Then we will know if all the good news i've told you today were right...or only a mirage. These would be wonderful additions. I really, truly hope that I as a shareholder, don't have to pay this. Omg, if only half of these come true it would be a very bright future for DLRP. Thanks for the best blog ever, Alain!!! Merci pour votre blog, il est magnifique. Si ce que vous annoncez dans votre article se confirme, Port Aventura a du soucis à se faire ! Question : mais d'où proviennent vos sources ? Sont-elles internes à Disney ou ne s'agit-il que de spéculations puisées dans les rumeurs du forum DCP ? A moins que vous ne soyez un proche d'Ignace Lahoud ? Même les 3 attractions de foire suffiraient à mon bonheur (non, je plaisante ...). Well the additions to WDS sound a bit mixed, both rubbish and fantastic - the Ratatouille ride which sounds amazing but If they decide to build Soarin' I might have to go and chain myself to the site to stop them! They simply have to build Indiana Jones then think about Splash Mountain for later. that is roughly 520 to 640m and thats not everything! That's a good question, and to be frank with you, i also will be VERY surprised if they build both The Little Mermaid AND Indiana Jones Adventure! That makes a total of 590 M of dollars. DOLLARS, not EUROS, that's the most important point. Now go on www.xe.com, to do the change in euros, and the total in euros is: 400 M EUROS. As i always say - and again in the article - you must not forget that the park is paying the attractions at WDI in DOLLARS. You will tell me that the change is favourable to the pak NOW, but not necessarily in 3,4 or 5 years from now, and it's true, but do you remember when 1 euro did equal 1 dollar - if it ever did? I can agree that looks always a bit short, but remember we don't know the exact amount of that supposed "check" - IF the WDC really did that check to EDL... That's a lot of "if", and it's a good reason to don't get too excited before an official announcement. Technically they can, but i don't think they will do it. Kali River Rapids is really a "wet" flume ride, and may be a little too "wet" for DLP guests. Wonderful additions! I already wanted to go to the park (I reside in the US), but all of these ideas make me want to go EVEN more! Merci Alain pour ces news ! Quand a Indiana Jones... Je suis a 90% sur que cela sera construit ! Tout comme Splash Mountain mais comme tu l'a indiqué : il manque un theme fort ! Je n'oublie pas le Disney Village, qui a vraiment besoin de grandes enseignes pour vivre mieux ! Pour finir, j'etais persuadé qu'un hotel serait construit a coté du NewPort Bay club mais j'avais jamais pensé à ajouté des "extensions" aux hotels actuels ! Tres bonne idée !!! Alain you make a valid point about my costs list for the rumoured attractions, if we were simply paying in dollars that would make complete sense. What I don't understand though is that surely we can't be paying for the whole thing in dollars? We have to pay Disney for the design etc but the main cost would be construction??? and as we know with TOT French laws lead to really expensive construction! I am a little upset that their is no hint of more street sets in the rumours, that would have been the perfect way to grow the park and give more theming. Survival group against God?? LOL. Good luck with that. Truth is, no one knows the exact time this will happen except the man upstairs, however, I firmly believe that there are people placed here by God that post the warning signs and it's up to you to take heed.